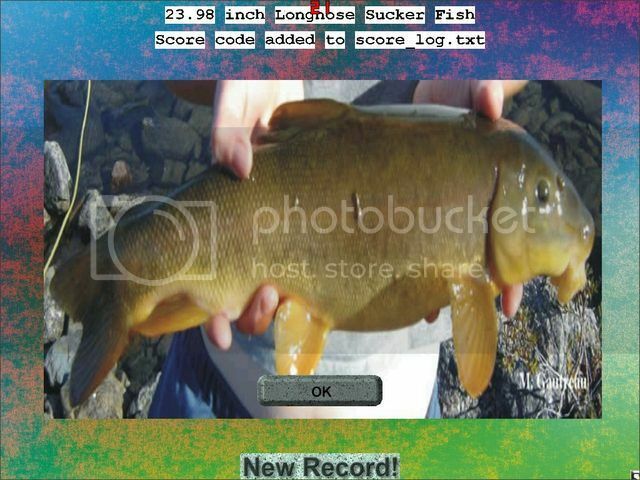 pishtech.com • View topic - A Little Challenge For You To Try..."Yellowstone Moods"
A Little Challenge For You To Try..."Yellowstone Moods"
Tonight I thought I would try the "Yellowstone Moods" Challenge. It was kind of fun using medium tackle. I thought I would post the score for you to beat. It shouldn't be very hard! Challenge done in Experienced Mode. 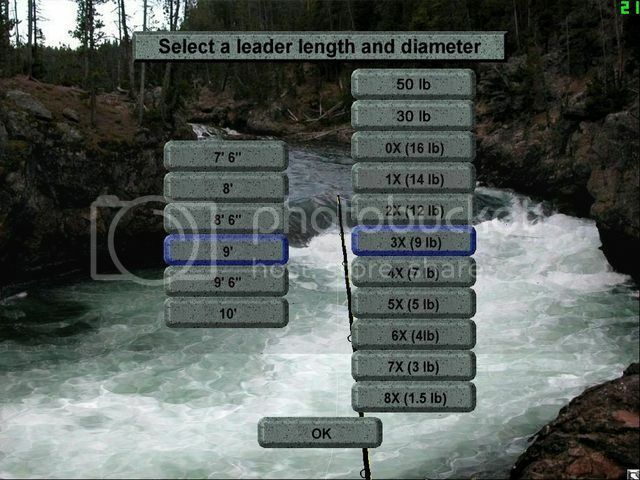 Tackle size used: 9 ft rod, 7 wt line and 3x leader. 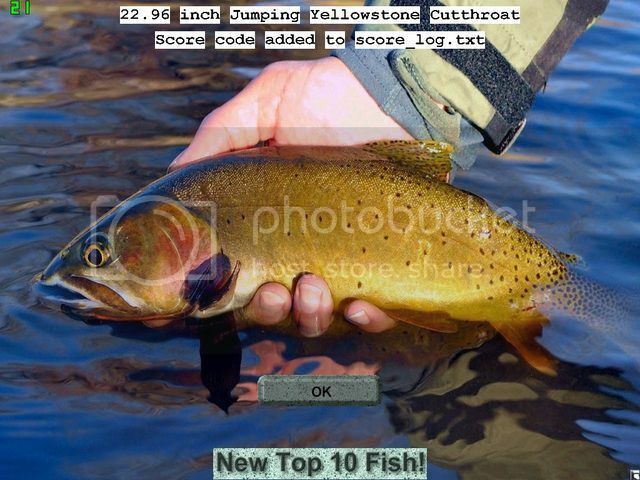 Re: A Little Challenge For You To Try..."Yellowstone Moods"
Only does not know if I I understood correctly the parameters set of for fishing with therefore pasting the pictures from of my settings of . For the time being on this set of I fished for a little bit, but not in the Challenge mode . How is my good friend from Poland? I have not heard from you for such a long time that I was beginning to worry about you. It is fantastic to hear from you again! Yes, you are using the correct tackle parameters for the challenge. Since this is a friendly challenge you can use anything you want to...e.g. lighter or heavier, but for comparative purposes using the same tackle as everyone will give some interesting and competitive results. Can you please send me an email with your current full mailing address as I have a little present for you from winning one of the last tournament challenge prizes. Much appreciated. 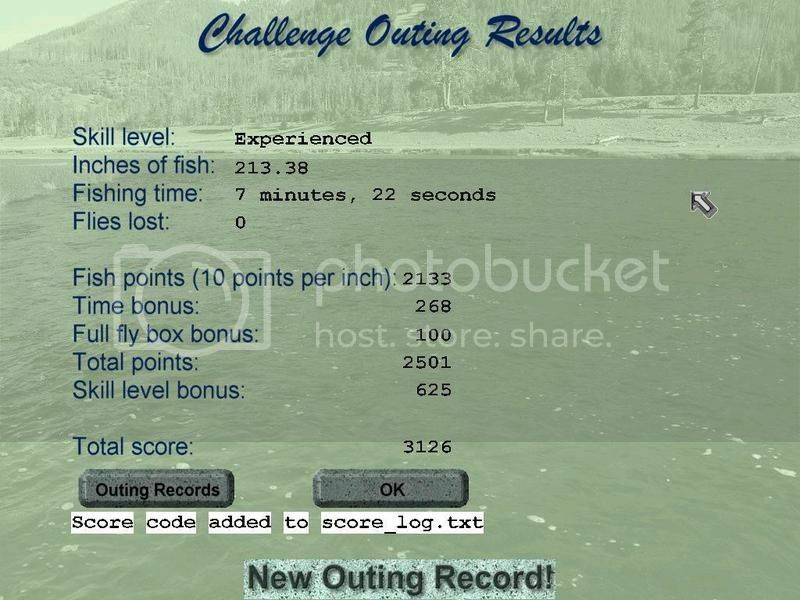 I am glad you enjoyed fishing the Yellowstone Moods challenge. It was actually an old outing with new jumping fish in it. I thought it turned out looking pretty well. Tonight I tried the Challenge for the second time and came up with a slightly higher score. 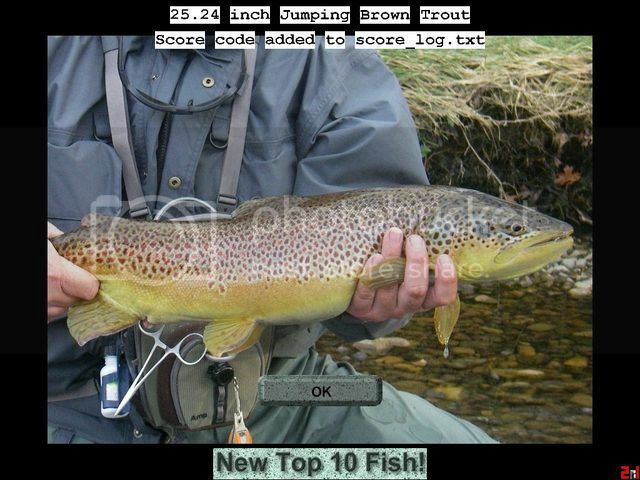 The maximum size for the Brown trout was set to only 28 inches but with light tackle this will give you a good fight. Here are my score and some pictures. Hope some of you will join in and see if you can come up with a better score. Here is a slightly better score. Give it a try, I know you can do better than that! An excellent job my friend. I knew you would come up with a bench mark score for everyone to beat. Maybe Roger and Barns would like to take a crack at it? Looking forward to getting some good scores from some of you guys. Maybe from one of our hidden members? I tried the challenge tonight and came up with a better score....3126! Just 6 points better than your first attempt. Now the race is on! 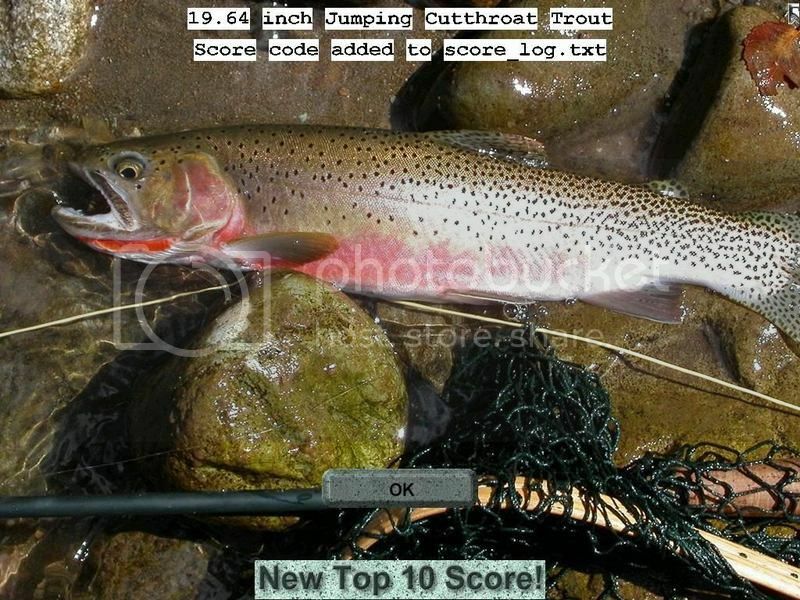 After playing around a little with different flies, weights and depths I came up with a decent score....3160! Now you guys really have your work cut out for you! I also found out where you cast your fly to makes a difference as well. 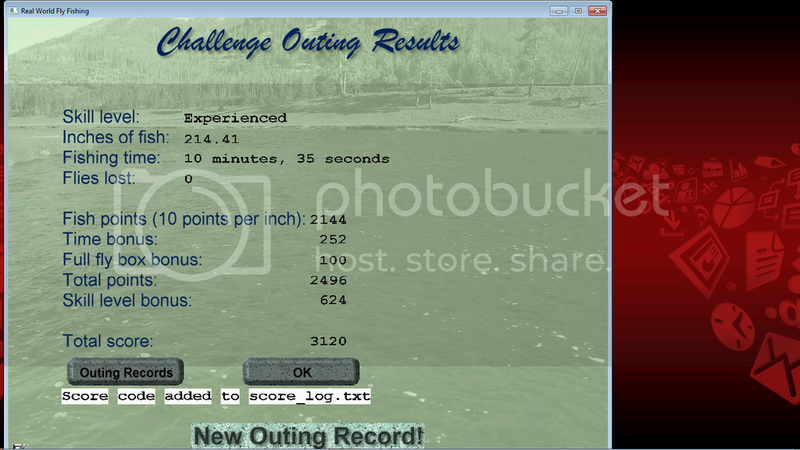 I am pleased how this little Yellowstone outing turned out. 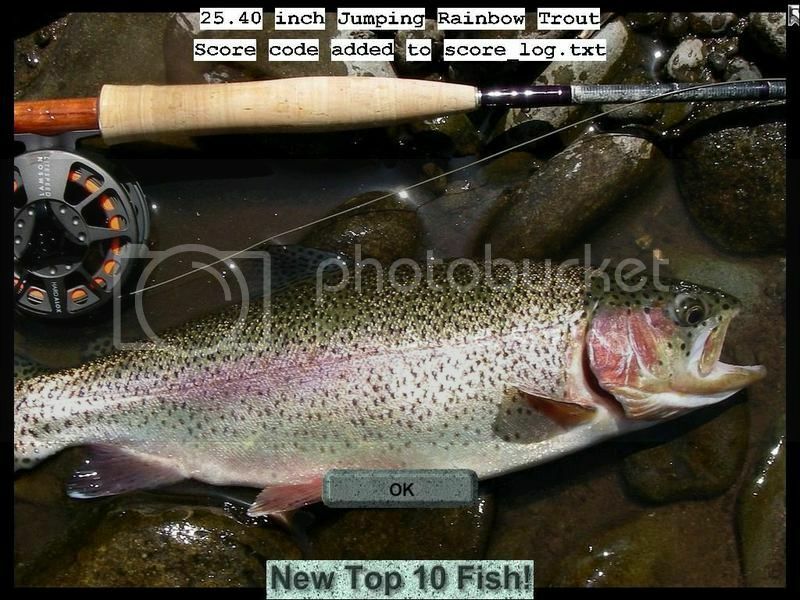 It is not difficult but takes a bit of reading the water and using the right fly to come up with the larger fish. You guys try it and you will see what I mean. Here are some pictures and scores of my latest effort. I know you guys can beat this! Very good score and congratulations. 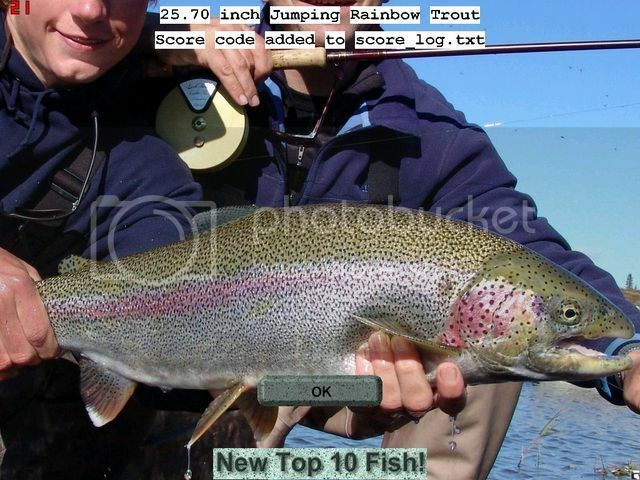 I do think it is random luck that one would sometimes get a very good score and the secret of course is not to catch any smaller fish. This is very difficult to do but once in while it does happen. 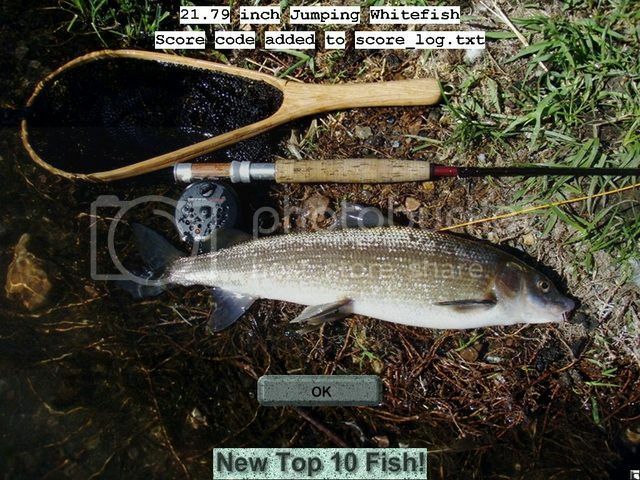 I fished many times with different combinations of flies, fishing depth and sink rates before I achieved my good score. 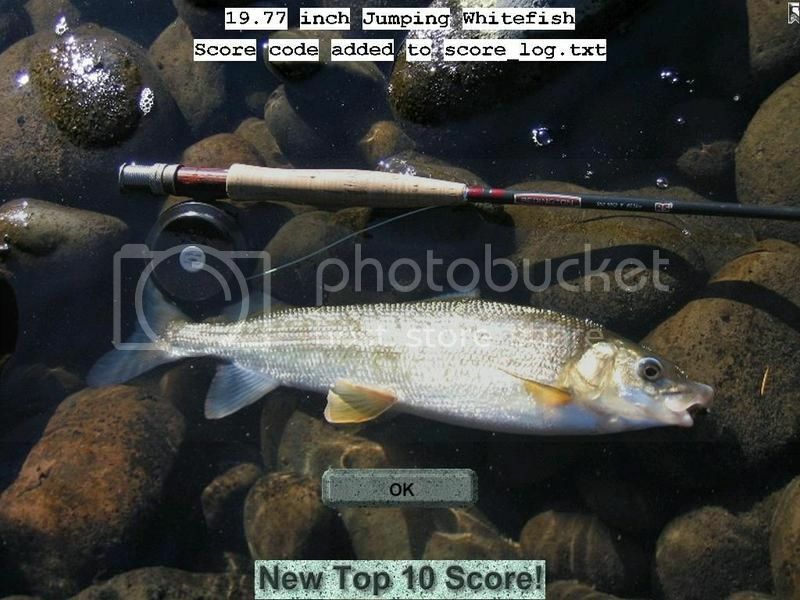 Maybe one day you, or other fisherman will come up with a score that would be difficult to match. I have seen this so many times before during competition. 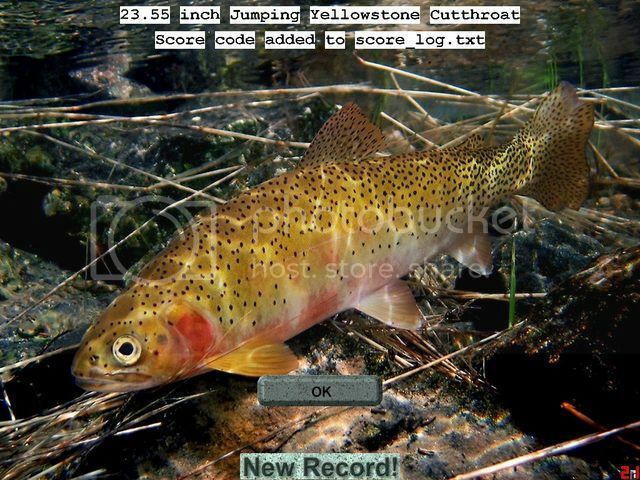 I hope you are having a great time fishing this little Yellowstone outing. The Yellowstone river is very large, long and beautiful river and possesses many different moods and characters depending on the elevation of the land and the season. Definitely one of my favorite big streams in the US for trout fishing. Something lately I have vision problems the result of of my of fishing yesterday . I do not know why the did not notice it ? I wish everyone of breaking the of virtual fishing rods ,and as a result of of at least 3,500 points ! What a nice surprise from you, Ninjata. We have not seen you for a long time. 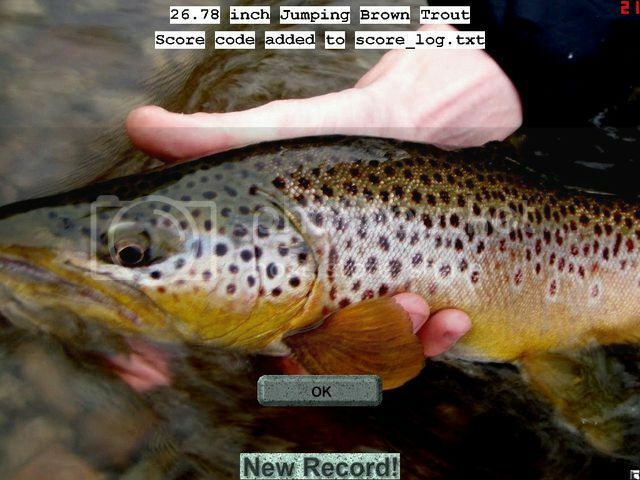 Welcome back to RWFF Forum and fishing! Your score is surprising good for your first attempt. 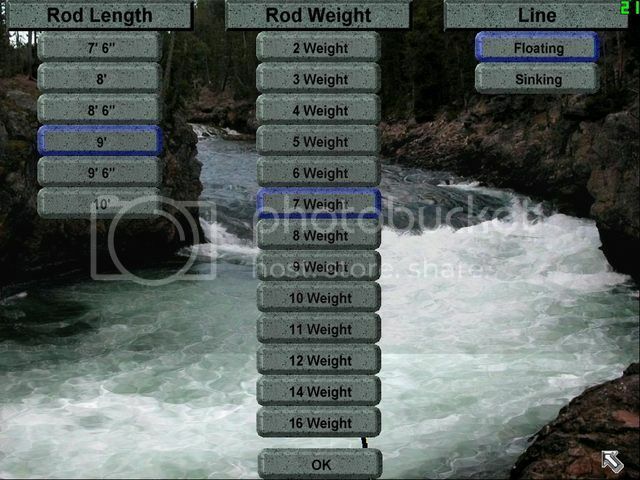 Can't wait to see even better scores from you after your figured out how to fish this little challenge. Our old friends likes Barns, Badger and Roger on the Forum will have a great time trying to beat your excellent score. 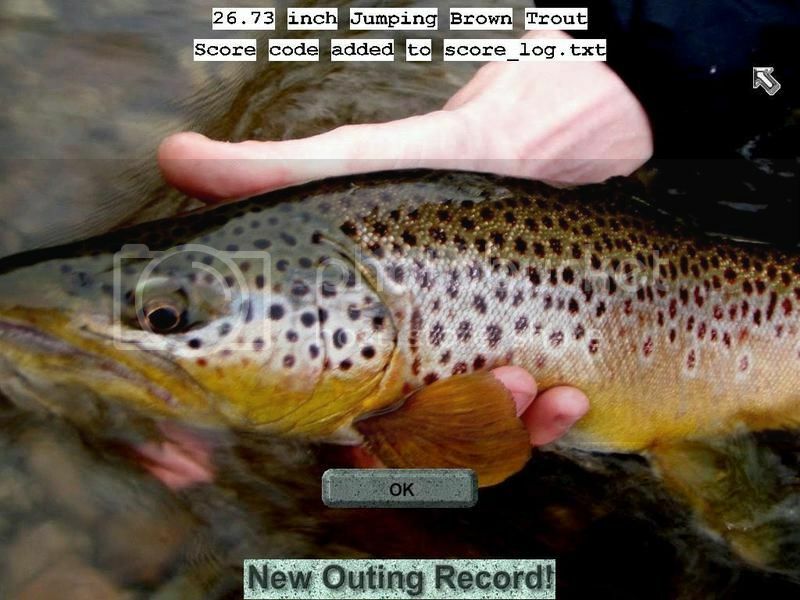 Keep up the good fishing and keep those scores coming in.